The Association of Fundraising Professionals Indiana Chapter (AFP-IC) had its beginning on October 12, 1978 when Charles A. Johnson, Senior Counselor for The Lilly Endowment, gathered 15 Indianapolis area fundraising professionals to meet with him at the Endowment office to discuss the merits of organizing a regional association of development officers. Johnson had been thinking for some time about the need for an association to "provide training programs for beginners in the fundraising profession and continuing education programs for the more experienced development officer." The small group thought this was a very good idea and immediately formed a committee to organize an association of Central Indiana development officers. The organizing committee consisted of Johnson, Chris Carlson (at the Indianapolis Zoo), Richard Hoffert (Indianapolis Symphony Orchestra), Polly Jontz (the Children's Museum), Dan Nicoson (Indiana Central University) and Kenneth Tirmenstein (St. Vincent Hospital Foundation). An initial list of 64 fundraising professionals was compiled to invite to a February 1979 organizational meeting at the Lilly Endowment. While the group concentrated on enlisting fundraising professionals from Marion County and the surrounding counties, they agreed that membership would be open to any fundraising professionals in Indiana. Of the 64 invitees, 44 professionals, mostly from Indianapolis, but also from Fort Wayne, Richmond, Franklin, Greencastle and Spencer, turned out for the organizational meeting. After explaining the purpose of the meeting, a proposed set of by-laws and a slate of officers were presented to the group. Following some discussion, the by-laws were approved as was the proposed slate of officers, including Jontz as President, Dan Nicoson as Vice President, Richard Hoffert as Treasurer and Jan Finney (Historic Landmarks Foundation of Indiana) as Secretary. Membership dues of $15 per person were set and the name of the Central Indiana Council of Fund-Raising Executives (CICFRE), was approved for the new organization. Thomas H. Lake, Lilly Endowment Chairman and President, and Richard O. Ristine, Executive Vice President and Secretary of the Endowment, hosted a social hour and luncheon. A highlight of the luncheon was a presentation on "Fund-Raising in the '80s: Problems and Opportunities" by Dr. Gene E. Sease, the President of Indiana Central University. In the first meeting after the election of officers, it was decided that Johnson should serve as the organization's advisor. Two appointed committee chairmen, Chris Carlson, Membership, and Lynn Kandel (Methodist Hospital Foundation), Programs were subsequently elected to the board as Directors-at-Large. Also attending board meetings were Communications Committee Chairman Elizabeth Miller (Indianapolis Museum of Art), Legislative Concerns Committee Chairman James Reed (Christian Church Foundation), and Publicity Chairman Sue Ann Gilroy, who resigned in July and was replaced by David Sheets (WFYI-Channel 20). In its initial year, the Council held four all-day program meetings in June, September, and December 1979, and in February 1980. Program topics included "The Current Climate for Philanthropy (in Central Indiana and in Washington D.C.) and What We Are To Do About It," "Stress for the Development Officer and What We Are to Do About It", "Deferred Giving," and "Corporate Fundraising and Seeking Support from Foundations." Articles of Incorporation for the new organization were approved by the membership in June and notification of the Council's incorporation was received from the State of Indiana in July. In May, Mike Layden (Associated College of Indiana) began keeping a calendar of capital campaigns being conducted by members. Willing Etling (Butler University) and then Wendy Boyle (Indianapolis Museum of Art), started compiling critiques and evaluations of other fundraising seminars, programs, and conferences that had been attended by members so that critiques and evaluations could be provided to other Council members. A "Who to Call for Help" information sheet, listing members who volunteered to share their expertise, was compiled and distributed to members at the June general membership meeting. A membership profile, compiled by Carlson and published in June showed that CICFRE's 59 members included 43 (73%) men and 16 (27%) women. The members years of experience, in their present positions, totaled 229 years ranging from a high of 18 years and a low of one (1) month. Organizations represented included: Education (15), Health/Hospitals (9), Social Services (8), Cultural/Arts (7), Religious (6), Consultants/Self-employed (6), Historic Preservation (4), Youth Services (3), and Foundations (1). Also in June, a representative of the National Association of Fundraising Executives (NSFRE) asked to speak to CICFRE about becoming a NSFRE chapter, but the CICFRE board of directors decided to delay any discussion about the request until late 1980. A membership newsletter was published for the first time in September - without a name. Editor Elizabeth Miller asked the membership for suggestions, but it wasn't until the fourth newsletter, published in February 1980, that the newsletter had its first name of "What's Developing." Information about fundraising job openings appeared for the first time in the November 1979 newsletter. Officers elected for CICFRE's second year included: Dan Nicoson, President; Lynn Kandel, Vice President, Programs; Jan Finney, Secretary; Richard Hoffert, Treasurer; Polly Jontz, Past President. Directors-at-Large were Chris Carlson (Ketchum), Membership; and Phil Hardwick, who had already joined NSFRE (United Way of Central Indiana). Committee Chairmen who regularly attended board meetings were Marilyn Burger (Hoosier Capital Girl Scout Council), Publicity; Wendy Boyle, Seminar Evaluation; Dee Ann Gibson (Multiple Sclerosis Society); Newsletter; and Jim Reed, Legislative Affairs. Four all-day program meetings were again held in June, September, and December 1980 and in February 1981 on the topics of "Fundraising in the 80's", "Certification of Fund Raising Executives", "Fundraising Cost Reporting", "Capital Campaigns", "Direct Mail", "Setting Up the Development Office", and "Office Systems and Record-Keeping". Registration fees for the all-day meetings and lunch were $10 for members and $12.50 for non-members. Affiliation with NSFRE continued to be an agenda item at most of the CICFRE board meetings in the first half of the year. NSFRE Executive Director, J. Richard Wilson, and Immediate Past President, Don Campbell, made presentations to the Council board and membership in June. A 6-member committee, chaired by Phil Hardwick, was appointed in July to explore what would be required for the Council to become a NSFRE chapter. In October, the NSFRE Board of Directors issued a formal invitation, with conditions, to CICFRE to become a NSFRE chapter. After a review of the invitation and the ramifications of the conditions, the Council Board decided to table any action on the matter until 1981. It did, however, encourage CICFRE members to become individual members of NSFRE. A membership listing of 91 members was published and distributed with the April issue of the newsletter. In April, Legislative Affairs Committee Chairman, Jim Reed urged CICFRE to conduct an effort to inform the public about the consequences of two proposed federal bills that would eliminate charitable deductions for taxpayers who did not itemize their deductions. To do so, the CICFRE board had to revise the Council's Articles of Incorporation because the original Articles prohibited CICFRE from attempting to influence the general public. In response to a request from the Corporate Community Affairs Committee of the Indianapolis Chamber of Commerce, four CICFRE members participated in a discussion in August about fundraising in Central Indiana. In October, CICFRE representatives also spoke to the League of Women Voters on the effects of proposed legislation on charitable contributions. Representatives of Central Research Systems, publishers of an Indiana Foundation Directory, met with the Council board in January to seek input from the board on the publishing of future directories. A second "Who to Call for Help" listing was published in January 1981. Elected President for CICFRE's third year was Lynn Kandel of the Methodist Hospital Foundation. Hoffert was elected Vice President, Marilyn Burger (Hoosier Capital Girl Scout Council) Secretary, Phil Hardwick Treasurer, Dan Nicoson Past President and Wendy Boyle and Pat Turner-Smith (Girls Club of America, Inc., National Resource Center) as Directors-at-Large. When Hoffert resigned two months later to move to St. Louis, Missouri, the board chose Wendy Boyle to replace Hoffert as Vice President and Chris Carlson to replace Boyle as Director. Boyle would also soon replace Hoffert at the Indianapolis Symphony Orchestra. Committee Chairmen who regularly attended board meetings were Polly Jontz, Nominations; R. Stephen Mohr (United Way of Greater Indianapolis); Legislative Affairs and Jon Yoho (Ivy Tech Foundation), Publicity. Four all-day program meetings were held once again during the 1981-1982 year in June, September and December 1981 and in March 1982. Program topics including "Effective Brochure Design and Copy Writing", "Time Management", "Sharpening Your People Skills", "An Introduction to Planned Giving", "Implications of the '81 Tax Reform Act on Planned Giving", "Strategies for Annual Giving", and "Donor Cultivation and Recognition". Ten CICFRE members were among the more than 400 delegates who attended the NSFRE annual conference in St. Louis, Missouri in March. The attendance of more than 400 was, to date, the largest number to attend a NSFRE conference. Also in March, Charles Johnson was appointed to chair a committee to explore establishing an awards program that would recognize a "Volunteer Fund Raiser of the Year" and a "Fundraiser of the Year". A Placement Committee was also approved by the Council Board. A booklet size CICFRE membership directory was published for the first time and distributed to the membership in May 1981. In October, Doug Kelley (Franklin College) was appointed chair of a committee to determine if the printing costs of the membership directory could be offset through the selling of advertising. Changing CICFRE's name to The Indiana Council of Fundraising Executives, Inc. (ICFRE) "to reflect the growing membership from outside the Indianapolis metro area." Submitting a petition and proposed Agreement of Affiliation to NSFRE to become a chapter. One item of the proposed agreement stated that the Council would retain is legal name of the Indiana Council of Fund-Raising Executives, Inc. Another item stated that those ICFRE members who did not wish to become NSFRE members, could remain as ICFRE members. Increasing membership dues to $25 for Senior members (those with 5 years of experience), $20 for Associate members (those with less than 5 years of experience, but, more than 2 years of experience, and $15 for Intern members (those having less than 2 years of experience). Regarding the increase in membership dues, Treasurer Hardwick reported that as the Council was becoming "more professional", the Council's expenses were increasing and it was spending more money than it was taking in. The four action items were approved by the membership "without question". A small traveling file was purchased by Turner-Smith in December for the keeping of the Council's organization and membership records. In response to an inquiry in January 1982 from the United Way of Central Indiana Volunteer Action Center, the Council expressed a willingness to help the Center as specific needs were identified. The Council also agreed to supplement the fund-raising and grants programs of the Retired Executives Group. Also in January, the board approved its first out-of-state membership application submitted by Gene Schulstad (Schulstad and Myers) of Louisville, Kentucky. As the Council's third year ended in March 1982, it was informed by NSFRE that nine (9) of its members who had taken the first NSFRE certification exam in October 1981 had passed the exam and had been awarded the CFRE designation by the NSFRE board of directors. As ICFRE began its fourth year in March 1982, Wendy Boyle of the Indianapolis Symphony Orchestra was elected President. Others elected officers included Pat Turner-Smith, Vice President Programs; Dan Dullaghan (Butler University), Vice President Membership; Jim Gillespie (Junior Achievement of Central Indiana), Secretary; Suzanne Smart (The Children's Museum); Treasurer; Lynn Kandel, Past President; Dr. John Martin (Associated Colleges of Indiana), and Sarah Finnegan (Girls Clubs of Greater Indianapolis, Inc.), Director-at-Large. Charles Johnson continued as Advisor. Committee chairmen attending board meetings were Marilyn Burger, Nominations; Katie DeGroff (Children's Museum), Newsletter; Tom Rugh, Recognition Study; and June Knight Shassere (Goodwill Industries of Central Indiana), Publicity. The Council continued holding four all-day program meetings in June, September and December 1982 and in March 1983. Program topics included "The New Federalism and Its Impact on Not-For-Profits:, the Economic Tax Reform Act of 1981 and its Impact on Charitable Giving", The Use of Computer in Fund Raising", "Corporate Philanthropy: A Reassessment", "Setting Up the Development Office" (for beginners); "Strategic Planning" (for experienced development officers); " The Development Team: Board President, CEO, and Development Officer", "Gaining Board Support", and "Marketing Your Institution". At its March 1982 general program meeting, the ICFRE membership voted to officially become the "Indiana Council" chapter of NSFRE and to allow NSFRE to bill all of the Council members for NSFRE and Council dues. The Recognition Study Committee, under the leadership of Tom Rugh (United Way of Indiana, Inc.) reported in February that an awards program had merit and should be pursued. An Awards Committee, with Rugh as Chairman, was appointed to develop an Awards Program that would become part of ICFRE's annual meeting in March 1983. Nine advertisements were published for the first time in the Council's second membership directory distributed in May 1982. A "communications table" became part of the general membership meetings at the September meeting and permanent membership meeting nametags were purchased in November. At the August board meeting the Professionalism Task Force Committee, under the leadership of Dr. John Martin, presented its recommendations, including one that encouraged Indianapolis area universities to design and present credit courses in fundraising or even a full fundraising degree program. Also in August, the Council board agreed to begin charging a $50 fee to list position openings in the newsletter. In September, President Boyle sent a letter to Indianapolis City Council President Buert Ser Vass in which she asked that ICFRE be informed of any hearing that would impact not-for-profit organizations and their fundraising procedures so that ICFRE would have an opportunity to provide input at hearings. The Executive Director of the Charitable Solicitations Commission of Marion County, a fundraising "watchdog" for the public was asked to the Council's October board meeting to talk about the function of the Commission and its parameters of influence. He explained that all Marion County not-for-profit organizations were now required to submit a request to the Commission for approval to raise funds and to be issued a license, but that the Commission did not have any clout to enforce its requirements. When ICFRE had become a NSFRE chapter earlier in the year, many ICFRE members remained "local members only" of the Council. However, in an effort to unify and standardize all of its chapters and all of the membership, NSFRE decided that all members of chapters should become NSFRE members by the end of 1985. In January, the ICFRE board appointed a task force, chaired by Sally Finnegan, to plan for a smooth transition of many ICFRE members from "local" membership to NSFRE membership. The year ended with the first Indiana Council of Fundraising Executives Awards for Indiana Philanthropy being presented at the March 1983 annual meeting. Six awards were presented. The Individual Philanthropist of the Year Award went to Allen W. Clowes of Indianapolis, the Lifetime Achievement Award to Ardath Y. Burkhart of Indianapolis, the Corporate Philanthropist of the Year Award to Lincoln National Life Insurance Company of Ft. Wayne, the Volunteer of the Year Award to Norbert Knapke of Ft. Wayne, and the Professional (Fundraiser) of the Year to Dr. John Z. Martin of Indianapolis. A special award or Outstanding Lifetime Achievement was presented posthumously to the family of Ralph J. Whitinger of Muncie, Indiana Lt. Governor John Mutz was the keynote speaker for the event and Richard Ristine of the Lilly Endowment served as Master of Ceremonies. The awards were developed and designed through a contest won by Philip Lamie, a junior student at the Herron School of Art. He was presented with a $1,000 prize that included a $500 grant from the Indiana Arts Commission. Marilyn Burger (Hoosier Capital Girl Scout Council) was elected ICFRE's fifth President. Other officers for the 1983-1984 year included Susann Smart, Vice President-Programs; Jim Gillespie, Vice President-Membership; Jon Yoho, Secretary; June Knight Shassere, Treasurer; Wendy Boyle, Past President; and Chris Carlson and Dan Dullaghan, Directors-at-Large. Also, Charles Johnson continued as Advisor, and committee chairmen, Iris Holiday (YWCA), Newsletter; Katie DeGroff Marlowe, Publicity; Dan Nicoson, Nominations; and Tom Rugh, Legislation regularly participated in board meetings. The four all-day program format was continued with general program meetings being held in June, September, and December 1983 and in March 1984. Programs were conducted on "Direct Mail", "Capital Campaigns", "Certification, Why and How", "Deferred Giving, (Beginner and Advance Tracks)" and "Donor Recognition, Donor Clubs- and Donor Cultivation". A first-time addition to the meetings was the appearance of vendors who provided informational displays regarding their fund-raising services and products. In September, the Council hosted a Survey Course of NSFRE and seven (7) ICFRE members were notified in December that they had earned the CFRE designation after taking the NSFRE certification exam. A new ICFRE Placement Service replaced the listing of job opportunities in the newsletter with special mailings which was implement in October. At its December meeting, the membership was asked to vote on whether ICFRE should continue it affiliation with NSFRE. The vote was held because of the NSFRE requirement that all members of NSFRE chapters be NSFRE members. A motion to continue the affiliation with NSFRE was approved by the membership. The "local member" problem was resolved with a part of the motion that allowed non-NSFRE members to be subscribers for local services for an annual "subscription". A new dues structure of $125 for NSFRE/ICFRE members and $50 for ICFRE "subscribers" was also approved. In February 1984, Charles Johnson provided information to the board about the Fund-Raising School located in San Francisco, California and how ICFRE could relate to it. He said the School could have a significant impact on Indianapolis and on the State of Indiana in the future. He also informed the board about a new project called the Indiana Donors Alliance. The Council, once again, held its 1984 Awards for Indiana Philanthropy program as part of its March 1984 annual meeting. Six awards were presented including the Individual Philanthropist of the Year Award to Arthur J. Decio of Elkhart, the Corporate Philanthropist of the Year Award to the Eli Lilly Company of Indianapolis, the Lifetime Family Achievement Award to Mr. and Mrs. J. Irwin Miller and Clementine Miller Tangeman of Columbus, the Volunteer of the Year Award to William A. Carter of Indianapolis, the Professional of the Year Award to Phillip K. Hardwick of the United Way of Greater Indianapolis and a special Presidents Award to Charles A. Johnson of the Lilly Endowment. 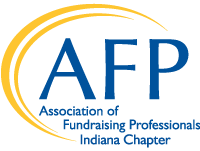 Indiana Chapter of the National Association of Fundraising Executives, in its fifth year, had a successful record of providing educational programs and services to its professional fund-raising membership. There was no doubt that Charles Johnson's idea of six years earlier did, indeed, have much merit.